Classic lines meet modern innovation to create a car worthy of the racetrack but designed for the streets in the 2016 Ford Mustang Shelby GT350R. This two-door muscle sports car takes striking design and combines it with unsurpassed performance to create a thrilling ride. With unbelievable horsepower and handling, the GT350R never lets you down. Classic lines from generations of Mustangs are evident in the design of the 2016 Ford Mustang Shelby GT350R. Signature HID headlights brighten your way while LED tri-bar taillights and sequential turn signals let others notice you. Dual exhaust pipes enhance the sporty image while air extractor hood vents show the GT350R means business. Power folding mirrors feature integrated blind spot mirrors and come with a Gloss Black cap. The carbon fibre rear wing enhances power and efficiency while the raised decklid spoiler improves aerodynamics to help you travel faster and more economically. Ten vibrant colours enable you to find the one that best fits your personality, whether it is Triple Yellow, Competition Orange or Deep Impact Blue. 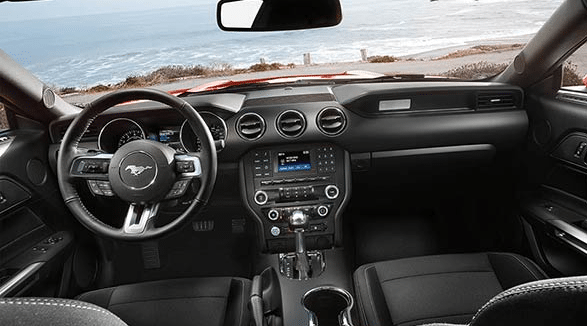 Slide inside the 2016 Ford Mustang Shelby GT350R and be ready for action with the low sporty driver’s seat. A small steering wheel fits better in your hand and is easily positioned with a manual tilt and telescope. 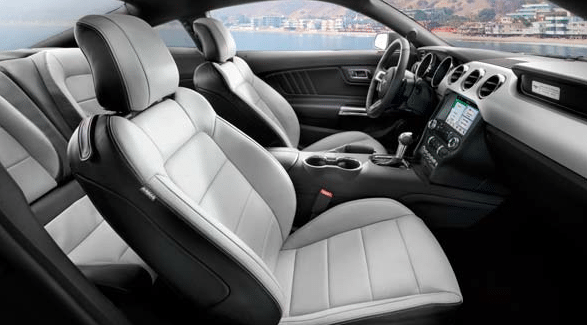 Rich materials offer a touch of luxury with RECARO cloth and Miko suede seats featuring red accents. A leather Alcantara wrapped steering wheel includes Shelby red sightline. Sill plates are unique for the GT350R while premium door trim comes from Miko suede. Aluminum foot pedals and a driver footrest are standard on this model. Intelligent access allows you to be on your way quicker with push button start so you don’t have to hunt for your keys as long as they are within proximity. Always know where you’re going with a voice-activated navigation system, which allows you to keep your focus on the road. Equipped with SYNC 3, you have information and entertainment at your fingertips. This updated system is more user friendly and features swipe and pinch-to-zoom similar to a tablet. Find your favourite stations on SiriusXM satellite radio or listen to the included stereo with CD player. Always know how your vehicle performs with Track Apps, which features a 4.2” message centre right on the instrument panel. Control this system through the steering wheel-mounted button and see your acceleration times and brake performance. Ensure that your 2016 Ford Mustang Shelby GT350R is like no other model on the road with genuine Ford accessories. First, you can alter the look with numerous graphics kits which include single or dual stripes for that racecar feel. Continue with the distinct look through numerous wheel options. You can also stay better organized with cargo trays and organizers. Protect your muscle car with floor mats, deflectors and covers. Beating in the heart of the 2016 Ford Mustang Shelby GT350R is a 5.2L V8 engine that is always ready to go. A flat-plane crank helps produce an impressive 526 horsepower that is sure to leave you breathless. Experience responsive handling and fast acceleration with the TREMEC six-speed manual transmission. Built to provide excitement at every turn, this sports car features launch control for smoother, more consistent starts by integrating the brakes and powertrain. Electronic Line-Lock is a standard feature, which enables you to experience the feel of the racetrack by locking the front brakes to spin the rear tires for a warm-up. Driver modes allow you to adjust the handling based on road conditions, including snow or wet pavement, track settings, sport mode or normal driving. Thanks to the impressive horsepower and value, the 2016 Ford Mustang Shelby GT350R is a fan favourite. 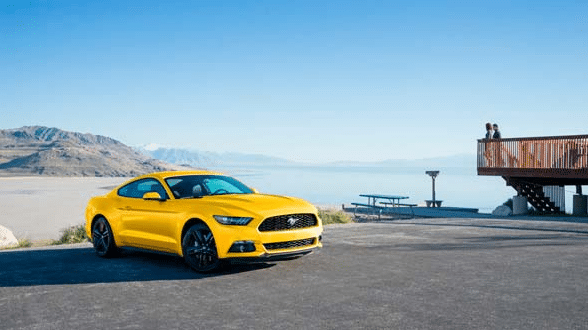 Safety is never a second thought in the 2016 Ford Mustang Shelby GT350R. Feel confident behind the wheel of the 2016 Ford Mustang Shelby GT350R with a solid Ford warranty. The 2016 Ford Mustang Shelby GT350R is for those who want to stand out in the crowd while leaving the competition in the dust. The perfect blend of design and performance, this sports car provides an exhilarating ride every time. Drive your dream car every day with a racetrack-worthy Mustang. 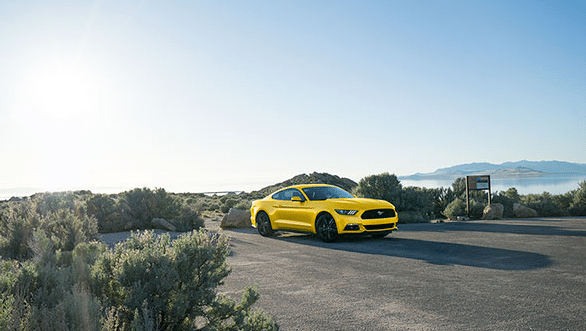 Discover the 2016 Ford Mustang Shelby GT350R at your local Vernon Ford Dealer – Watkin Motors Ford. Learn more about what makes this model unique and all of the options you have to customize your new sports car. Make driving fun again with a car from Watkin Motors Ford.